Home » Can I Stop Wage Garnishment Due To My Student Debt? Wage garnishment is a distressing prospect for anyone. You’ve already defaulted on your loans, been sent to collections, and now this new hurdle has appeared in front of you. If you have received a letter that wage garnishment will start on your federal loans, or if you’ve received notice of court proceedings on your private loans, you may be wondering if there’s any way to prevent it. Or worse, you may have found out about your garnishment only after it’s begun. Luckily you have rights, even in your precarious situation, and it may be possible to stave off or prevent garnishment altogether. But there are no guarantees. 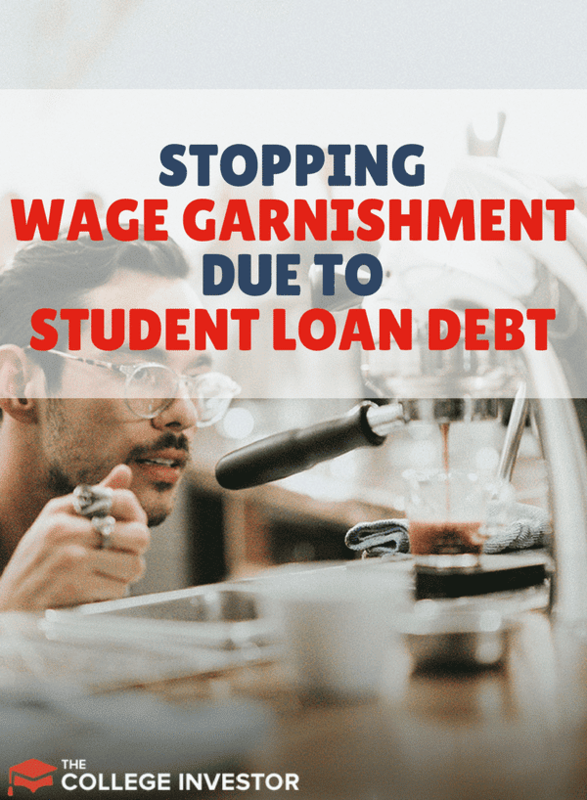 In general, the Department of Education or the guaranty agency that holds your loans will not begin wage garnishment until all other options have failed. They, or a collection agency contracted to collect on your loan, will try to contact you repeatedly before garnishment occurs. If you take no action on your loan, garnishment will occur. You should receive a letter that garnishment is about to begin, but the government requires no court approval to proceed. However, if your contact information is not correct, you may never receive notice, so it’s important to verify they have the right address on file. Other than notification, you have several rights in regard to garnishment, including to a hearing before or during garnishment that may prevent or delay it. Garnishment of wages for federal student loans is possible in all 50 states. If you’ve gone into default and you do not establish a new payment plan, or you don’t rehabilitate, consolidate, or settle your loan, garnishment might occur. However, if you request a hearing within 30 days of being notified, the government is not allowed to proceed with taking money out of your paycheck. If you request a hearing after garnishment begins, it might continue but there is a chance of stopping it. You can demand proof that you are the true debtor and they are the true owner of the debt. You might find the paperwork to be lacking. If the loan is in your name but is a result of forgery, they cannot proceed. If the government or guaranty agency cannot produce the proper paperwork, they cannot proceed. If there is adequate paperwork, there may be other reasons why the debt is unenforceable. If you’re eligible for a closed school or false certification discharge, they cannot proceed. If you got laid off or fired, got a new job, and have been at the new job for less than 12 months, they cannot proceed. There are more reasons for unenforceability of debt, such as permanent disability, so make sure to do your research. If garnishment presents an undue financial hardship to you and you can prove that, they cannot proceed. 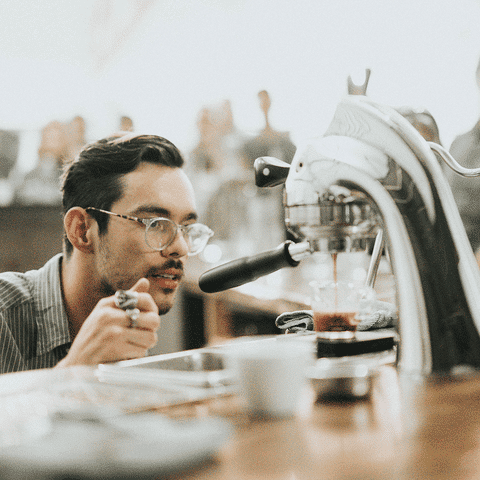 If the garnishment exceeds the legal limits. The federal government cannot legally garnish more than the lesser of the following: 15% of your disposable earnings (what is left over after tax withholdings) OR the difference between your disposable earnings and 30 times the federal minimum wage. So let’s do the math. Say, after taxes, you take home $500 a week. The federal minimum wage is $7.25. 15% of $500 (or .15 x 500) is $75. $500 minus ($7.25 x 30) is $282.50. The lesser of these two numbers is $75, so if wage garnishment goes into effect, they cannot garnish more than $75 a week. Regardless of the details of your case, you can request a delay in garnishment until the hearing is complete and the decision doled out. f you live in one of these states, you can breathe a sigh of relief that garnishment isn’t possible; though you still may face litigation regarding your defaulted private student loan. Private student loan collectors must go to court to garnish your wages and obtain a judgment and order from that court to begin. Unless you show up and challenge them, they will likely be handed an easy victory. You should receive summons by mail if you are being taken to court so you have reasonable time to prepare. Again, make sure your correct address is on file so you receive your notice. Just showing up in court boosts your chances for the suit to be dropped. Collectors or lenders are betting that you do not show up so the judge rules in their favor without opposition. But this is by no means a guarantee that you will stop them just by being there. Hiring a lawyer to present your case and advise you might be wise; if you feel absolutely confident that you can present your own case, you can forego the attorney fees. However, there might be hidden quirks of your state’s wage garnishment laws that you are unaware of. Wage garnishment laws differ from state to state, so make sure to do your research. This is one resource, but laws do change, and it’s important to know what the most recent laws in your state are. You can argue during your court hearing that garnishment would create undue financial hardship by presenting evidence of a limited income. If you cannot feed yourself or your family or keep a roof over your head, you have a chance to be exempt from garnishment. You can prove this by bringing pay stubs to the court to prove the hardship. Using the same scenario as above, 25% of $500 (or .25 x 500) is $125. Again, $500 minus ($7.25 x 30) is $282.50. The lesser of these two numbers is $125, so if wage garnishment goes into effect, they can garnish a maximum of $125 a week. If garnishment has already begun, and the amount being taken from your paycheck is outside the legal limits or your state forbids any garnishment, there are ways you can try to fix the situation. If possible, you could contact a lawyer to advise you. If the lender or agency does not stand down after you contact them to stop, you might go further and file a complaint in court against them. Less arduous than a formal legal complaint is the option to report improper garnishment to the Consumer Financial Protection Bureau, which requires responses from the companies in question. You can also file complaints with Better Business Bureau or similar organizations. Your method of resisting improper garnishment will be unique to your resources and situation. All this being said, your best bet to stop garnishment before it begins is to get out of default on your loans. You have way more options if you’re a borrower of federal loans. This is because default happens after many missed payments and there are several options to get out of default, like rehabilitation, consolidation, or repayment. Private loans are more difficult because you can default after only one missed payment. While it’s unlikely garnishment would be pursued after only one missed payment, this does limit the time frame you have to get yourself out of default. However, negotiating with your lender or collector about a new repayment plan, or a settlement, is an option if you are in default. While getting out of default is the best option, if you can’t, you have protections and rights available to you if you face wage garnishment. You might even put the brakes on your wage garnishment before it even happens. If you’re in default on your federal student loans — or are trying to stop it before it happens — you may want to get professional help. If you're not quite sure where to start or what to do, consider hiring a CFA to help you with your student loans. We recommend The Student Loan Planner to help you put together a solid financial plan for your student loan debt. Check out The Student Loan Planner here. For some, your monthly loan obligation could be as low as zero and you would still be in good standing with your loan. Have you ever had trouble making your monthly student loan payments before? Hi my wages are currently being garnished, it’s been about 2 years now. I called the other day to see what I could do to get a Caviars so I could buy a home. The debt company asked me my earnings and how much I spend on a car, cell phone, rent, insurance and what not. She told me I owe $21,000 and that the “affordable” repayment plan is to where I pay off the loan in 90 days and would only have to pay $15,000 total. That would be $5,000 a month, which is more than 2 times my monthly income after taxes. Is there any better options for me? I was wondering if there are loan companies that buy student debt and do lower monthly payments or anything. They currently take about $150 bi-weekly from my paycheck, so it’s hard to pay them back while having the garnishment. I’m confused – what do you mean you called to get a Caviars? Who told you this payoff amount? Are your wages being garnished for Federal or private loans? We have never had a student loan in our lives,but keep getting collection calls from a local Colorado number. When we ask for information on this debt the collector on the other end hangs up. They refuse to stop calling. Sometimes 2 or3 times a day. How do we stop this. You need to get out of default an onto an income-driven repayment plan. If your income is low enough, your legal payment could be $0. Here’s the steps to take: How To Get Out Of Default. My wages have been garnished for going on 2 years now, bi-weekly, to the tune of about $250-350 per paycheck ($500-700 per month). In addition to that, they have also seized my income tax return last year ($1500). I owed $18k on these loans, so during this time, they have received approximately $12k. Is there a way to just start making monthly payments to stop the garnishment of wages and tax return to pay off the remaining balance? I have no idea who to even contact anymore. My student loans were for a “for profit” college that was shut down by the federal government (ITT-Tech) for predatory loan practices. The “degree” I received is worthless and employers look at it as a joke. I know students that went to Corinthian college (spelling?) were relieved of any debt due to the school shutting down for this exact thing. What are my options? This is the reason I stopped paying the loan in the first place. There are lemon laws for people looking to purchase a vehicle and similar things to protect homebuyers, but nothing to protect people looking to better their lives by persuing higher education after high school… it blows my mind. Not sure how I should approach this. Mind you, this is just the federal loans. The private loans I owe are around $24k, and luckily since I live in PA, it’s harder for them to garnish my wages. Any suggestions would be welcomed. Thanks. You need to get out of default on these Federal loans and get on an income-driven repayment plan. Only then will they stop garnishing your wages. Check out this guide: Get Out Of Student Loan Default. My situation is very similar to this one except my garnishment is for private student loans for an online college program that was shut down for the same reason. I never even started the program. I can’t seem to find an attorney in my area that has any experience in this matter. Even though everyone of my paychecks is garnished the interest on the debt continues to accrue so am I going to be garnished for life? Hey my student loan been in default. Now my wages are in Garnishment. Is there any way I can stop this. I need help. Yes, like the article above says, get out of default! Here’s a guide: Get Out Of Student Loan Default. I consolidated my student loans with my ex-wife. Is there a way to legally separate our loans? She is legally disabled and she could discharge her loans. I am a teacher and was due to have a large portion of my loans discharged as I was only working in Title 1 schools. I have since moved overseas and would like to return home to the US, but cannot do so with this debt hanging over my head. Since default with interest and penalties the total is well over $300,000. My original loans were approximately $30,000. I would like to come back to the US, buy a house, then work on rehabilitating my loan. If I can get the loan seperated from my ex-wife’s loan, my life would be so much easier…is this possible? there is a lot of conflicting information on the internet. Sadly, there are very few ways to get the loans separated. Spousal student loan consolidation is the worst, which is why the government stopped doing it. There are some credit unions and banks that will refinance your loans into individual private loans if you both qualify individually, but given both of your situations and the loan balance, I doubt that will be an option. Hi I currently owe about 1500 in student loans from about 3 years ago. I have recently gotten on a payment plan in December and have made 2 payments. I recently found out the irs has took the whole student loan amount out of my taxes. Is this possible if I already have a payment arrangement? Yes, because until you’re out of default, they can garnish your tax refund. You need to complete the rehabilitation agreement first, then you are safe to get your return. Hello Robert. Will she be able to retrieve her 2018 taxes back after completing the rehabilitating agreement? No, but she’ll avoid future offsets. My question is I had a private garnishment coming off my paycheck (credit card)…and now my federal student loan is coming off as garnishment as well… Can both these garnishments be on my paycheck at one time?? they are now …or when the credit card is paid off…nobody else can come on until the student loan is finished? or can they both be on there at once..i thought it was only 1 at a time??? I file my taxes on the 23rd of January and on the irs were is my refund app stated they sent them on the 27th of February. But I still haven’t got my refund. So I called the its and they told me that my taxes was taking by someone but they couldnt state who. How do I fine out were my money went. Do you owe a debt? Maybe student loans or past taxes? Does a debt collection agency need my tax returns or the name of my employer for me to make payments? The department of education took my tax refund, then Reliant Capital Solutions sent me a letter in the mail saying they’re going for wage garnishment. The thing I’m scared of is giving them information I don’t need to give that’ll help them take more money than I can pay, and of course they “need” me to give them that information before they decide my monthly payments (It’s funny because the person I spoke to asked for my social and current employer. I just gave her the last four and she read me the rest, which was reassuring, but when I refused to tell her the name of my employer, she just said okay, I need your tax returns, which would have that on there… lol…). My bills offset the amount of money I make, and I’m barely able to get by. My situation is a little complex. I withdrew from the college after 2wks of going this was ten yrs ago. Dept of education levied taxes as soon as I filed in 2016. I settled with loan services for the loan last year. This year the tech school started garnishment and say I owe them. For 2weeks attendAnce? On loan from d.o.e. Whom I settled with? No notice or any thing. Just money off the gross pay not the net pay. It comes off the tip top. I’m part time and they are getting 25%of gross pay then taxes then net pay . How is this legal? Sounds like you would benefit from speaking to a lawyer who can help you navigate this. Hi recently they have started garnishment up again. They took my entire refund and now have started the garnishment again. How much can they legally take from you in a yrars time? They can take your entire refund. They can take up to 15% of your paycheck and other checks (like Social Security).